But Bermuda is not just another pretty place. It is an island with a thriving culture, a rich history and abundance of activities. Perhaps its biggest selling point, however, is its people, the proudest natural resource any nation could desire. 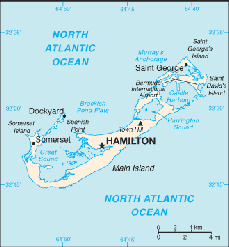 Bermuda comprises 181 named islands and islets, forming a fishhook some 21 miles long with a maximum width of two miles. Bermuda was colonised almost by accident, when a ship bound for Jamestown foundered on its shores. As a result, Bermuda is the oldest British Colony and has the second oldest Parliamentary Democracy (after England) in the world. With six annual signature events, covering the arts, sport and cuisine, with 150 restaurants, and with something happening almost every day, visitors should never get bored. And did you know that Bermuda is home to more golf courses per square mile than anywhere else in the world? 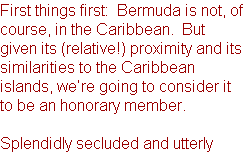 And then there's what Bermuda is perhaps most famous for. All along the fine shores you find beaches bathed in "pink" sand, which actually ranges from rose to mauve, making the already poetic scenery that much harder to resist. Information and photograph courtesy of the Bermuda Department of Tourism. 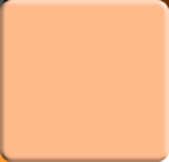 For more detail on the country, this is a great place to start. 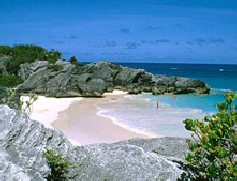 unique, yet just a short flight from the US, Bermuda offers a great depth of experiences. With no neon signs, limited cars, and strict environmental laws, its ambiance has a purity rarely found anywhere in the world.